A small team of quality installers using only qualified roofers to carry out any roof work and fully qualified and experienced electricians. We have pride in our work and the main engineer is qualified to the latest C&G standards (C&G2399). All work carried out is of high quality and affordable. We are able to purchase in bulk so you can save on the cost of the installation. We are not a national company, you will get a good quality service from people who care. We are undergoing accreditation and offer discounts to customers prior to or just after accreditation is received. Any work carried out before accreditation will be inspected by NAPIT and will have their full approval once completed. Buck Electrical supply and install Solar PV. 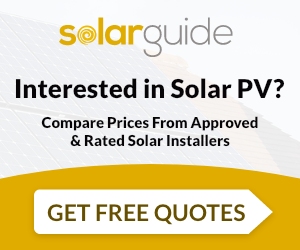 For similar installers in this area please visit the Bridgwater solar page.